Amazon founder and CEO, Jeff Bezos was recently announced the World’s Richest Man. He is richer than he has ever been and certainly richer than anyone is right now. 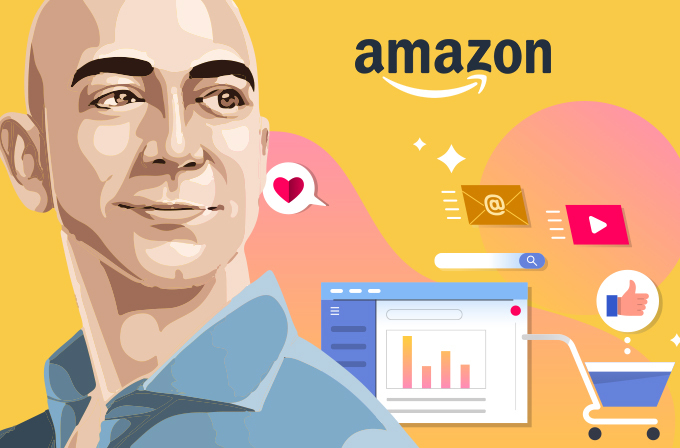 From an e-commerce bookstore run from a garage to multi-national e-commerce, artificial intelligence, and cloud computing-based tech company, Amazon has come a long way since its launch in 1995 conquering several business vistas and is still on the quest. An extensive range of provisions. Customer-friendly, intuitive, and attractively designed user interface. Using affiliate products and resources to maximum advantage. Exploiting existing systems of communication while respecting the future. Understanding and acknowledging behavioral patterns and universal psychology. Another advantageous move Amazon made was to target demographics and psychographics in a circumstantial manner. Segmentation was not done based on the users’ interests but rather on a predictive degree based on their actions. This granular targeting approach yielded them the fortune of long-term, valuable customers. Successful digital campaign implementations aside, another major contributing factor to Amazon’s success, obviously, is its titanic expenditure on paid search and other digital channels. In 2017, Amazon upped its marketing earmark to $10.070 billion ( a 39.2% increase). This move cannot be degraded by calling it an expenditure because it turned out to be a profound investment that helped the retailing giant account for 44% of the e-commerce sales in the United States (according to One Click Retail statistics). This tactic allowed Amazon to always show up whenever a user planned a purchase and turned to Google for it. The massive budget was flowing through Google’s text ads and it is by no luck but pure planning that Bezos was one of the earliest investors in Google too ($250,000 in 1998 which values over 3.1 Billion now). Amazon also employs a trailblazing email marketing strategy. The emails sent are laser focused to the right consumers at the right time. For instance, on Black Friday, a couple of years back, the company sent 52 themed email campaigns. According to ‘eDataSource’, this number was far less than the 119 it had sent the previous year. 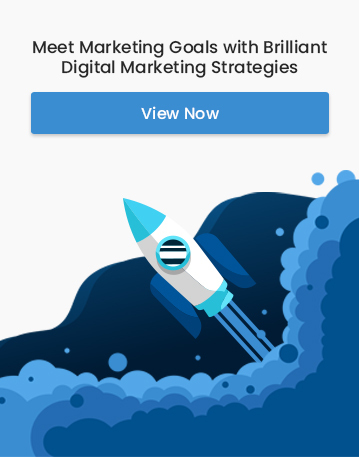 This strategy doubled the email open rate, with a result of 60% conversions. Again, this result was churned out of the magnanimous investments Amazon made to employ email marketers who had the knowledge and an innovative attitude towards achieving the target. An exemplary strategy is showcased in Amazon’s Social Media Marketing techniques. The foundation of their SMM strategy is to inspire customers to buy i.e. instilling an ambiguous sense of need and then catering to it. The retail giant’s social media presence is decorated with a personal touch. Every query, review, and opinion, negative or positive, is immediately acknowledged and responded to. Amazon’s Facebook page is instrumental in direct marketing too with relevant suggestions and purchase ideas. Its Twitter handle, on the other hand, is primarily concerned with Content Marketing. Amazon’s Twitter base engages its customers in quality content and discussions and nurtures the community with the ultimate aim of nourishing its additional services such as Amazon Prime and Amazon Music. The personal texture in Amazon’s response, for instance, the responder signing off with their first name, is what engages the audience at a deeper level. The online selling tactics are always adhering to the up-selling model for Amazon. Customer engagement at every level is valued immensely. Reviews are a main feature of Amazon. Providing user reviews act as a trigger for purchase. Amazon engages the users in reading reviews and making an informed decision for their next purchase and then guides them through the process of placing an order in a user-friendly manner. Further, the algorithm shows a section dedicated to “People who bought this also bought….” and shows complementary products, thus instigating further purchase intent before the customer even leaves the page. The basic marketing mix of Amazon includes the fundamental 4 P’s. Product, Place, Price, and Promotion. To gain an edge in its presence and offerings, Amazon acquired several start-ups including Audible, IMDB, and Zappos at low costs in order to provide a better customer experience through existing technologies. This also helped Amazon to eliminate competing profit models. Substantial product offerings also helped Amazon to keep its product prices low, thus tempting its customers to come back. Amazon enjoyed over 50% repeat buyers at any given time. Adding to the 4 Ps, Bezos was also cautiously implementing the 4 Cs. 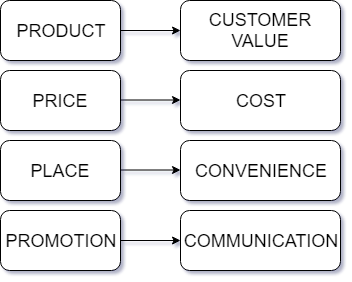 Customer Value, Cost, Convenience, and Communication. Apart from the promotional and communication techniques which were discussed above, the products obviously translated to customer values through their out-of-the-box advertising strategies. They catered to every international and local occasion. With regular promotions and offers, the prices were extremely competitive. The convenience of shopping was unmatched. No need to even leave your home. How convenient is that? It is almost inappreciable because we are taking it for granted these days. It would be impossible to copy the exact strategy and be successful in today’s different and volatile market. But there are few timeless lessons we can infer from Bezos’ story. Understanding your target audience would be lesson number one. Amazon’s behavior tracking algorithms are deployed to perfection at a granular level. Another element of Amazon’s success lies in the art of content creation. Reliable, relevant and transparent content provided in the form of appealing product descriptions and user reviews were influential in customer engagement and trust building. The bottom line is that, once you reach out effectively to the apt audience and manage to convert them, then the customer experience and satisfaction are all that matters. Behavioural Targeting: Reaching those who need you! How big is your negative keyword list?